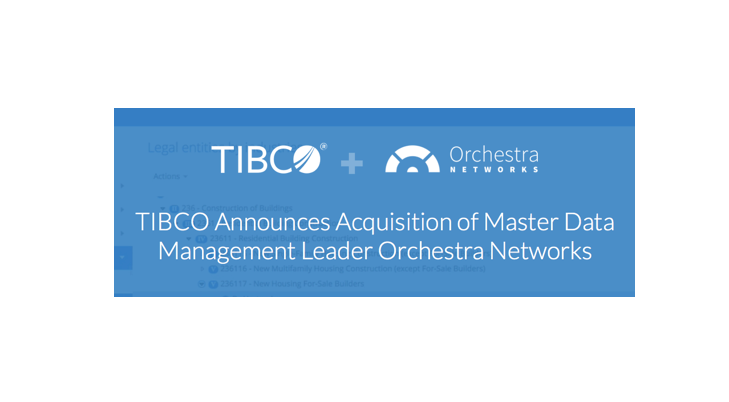 ​At Elaia Partners, we are delighted to share the good news : TIBCO Software Inc., a global leader in integration, API management, and analytics, today announced that it has acquired Orchestra Networks, a recognized leader of master data management (MDM) solutions and pioneer in data asset management. Elaia Partners will have remained the only professional investor alongside the four founders of Orchestra Networks. Since our investment, Orchestra Networks has expanded out of France to many other geographies such as the US, Germany and England for example and they have become the global leader in multi-domain MDM and recognized as such by analysts.